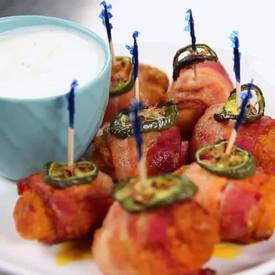 Spicy buffalo chicken bacon bites! What's better than spicy buffalo chicken? Spicy buffalo chicken wrapped in BACON!! How many of these do you think you could eat?